We all wish for more space in our home, whether it’s an extra bedroom or larger kitchen. Home extensions can be a great way of creating for floor space, but can be expensive and out of budget. There are, however, ways of making the most of the space that you already have. Using these clever tips can add plenty of room and possibilities all over the home! The entryway of your home should be as efficient and functional as possible. It is a busy area with people getting ready to leave, and guests entering. Try to keep the space clear of clutter, with shoes tidy on racks and coats on hooks. Maximise practicality by placing a bench for kids to be able to sit on when putting on shoes and rucksacks, keeping the floor clear. While the bedrooms should be a refuge, they are also needed for more than just sleeping. Storage beds are ideal for older children, with drawers and shelves to store books and belongings. For normal beds, under bed storage can be an efficient substitute. Maximise space by fitting wardrobes and making sure everything is stored away correctly. Most people would only choose smaller pieces of furniture for a tight room. 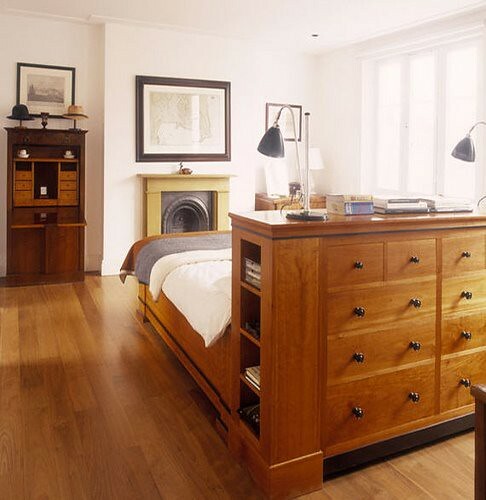 But, one large piece can make the room look bigger, rather than cluttering with more items. Go for one larger sofa rather than chairs, use the walls to display ornaments, and keep the room light and airy. A storage chest is a perfect example of multi-functional furniture. Placed in a living room they can be used as a coffee table, but also to store extra blankets and cushions. In a bedroom it can be used to display items and also to store out of season clothes, clearing space in wardrobes for current clothes. Garages and outbuildings become dumping areas in most homes. Don’t let this happen, and keep clearing out old things that aren’t used anymore. If you don’t have a garage and need some outdoor storage for larger items, consider hiring a storage unit. Metro Storage offers the most secure self storage units, and are ideal for keeping your belongings safe, but outside of the home. The kitchen is normally the hub of the home, where families join and cook together. There are lots of space saving options in this room, with overhead storage racks for pots and pans, built in appliances, and storage shelving all available. Dining tables can be fitted with drawers for cutlery and utensils, and benches taking up less space but more seating than chairs. Keeping a room light and bright is a great way of making it appear larger. Make sure windows aren’t blocked by furniture, and stick to lighter colours. While it won’t create any extra space, it does make a smaller room feel much more spacious. A mirror also creates depth in a room, creating the illusion of having even more space.